Take advantage of our Courtesy Vehicle Program. Enjoy exceptional offers on previous loaner vehicles. We loaned them and now you can lease them! These vehicles have low mileage and are under factory warranty. Our inventory is stocked and you’ll find the car of your dreams for less then you’d expect. 2019 Mercedes-Benz GLA 250 4MATIC® Under 5,000 miles! Equipped with 18" 5-Spoke Aluminum Wheels! Elegant design inside and out gives it a true luxury appearance. 23/31 City/Highway MPG CARFAX One-Owner. Clean CARFAX.2019 Mercedes-Benz GLA 250 4MATIC® Under 5,000 miles! Equipped with 18" 5-Spoke Aluminum Wheels! Elegant design inside and out gives it a true luxury appearance. 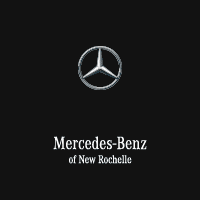 2019 Mercedes-Benz GLC 300 4MATIC® This luxurious SUV comes with everything you could wish for in a vehicle such as an illuminated entry, remote keyless entry, and more! 22/27 City/Highway MPG CARFAX One-Owner.2019 Mercedes-Benz GLC 300 4MATIC® This luxurious SUV comes with everything you could wish for in a vehicle such as an illuminated entry, remote keyless entry, and more! 22/27 City/Highway MPG CARFAX One-Owner. 22/33 City/Highway MPG CARFAX One-Owner. 2019 Mercedes-Benz C-Class C 300 4MATIC® Plenty of room for adult-sized passengers in back with a long list of advanced safety features! 22/33 City/Highway MPG CARFAX One-Owner. Clean CARFAX.2019 Mercedes-Benz C-Class C 300 4MATIC® Plenty of room for adult-sized passengers in back with a long list of advanced safety features! 2019 Mercedes-Benz C-Class C 300 4MATIC® Only 5,034 miles! Equipped with Apple Car Play, Alloy Wheels, and many more! 22/31 City/Highway MPG CARFAX One-Owner. Clean CARFAX.2019 Mercedes-Benz C-Class C 300 4MATIC® Only 5,034 miles! Equipped with Apple Car Play, Alloy Wheels, and many more! 22/31 City/Highway MPG CARFAX One-Owner. 2019 Mercedes-Benz E-Class E 300 4MATIC® SPORT PACKAGE and 18" 5-Spoke Wheels! What more could you ask for in this luxury sedan? 21/29 City/Highway MPG CARFAX One-Owner. Clean CARFAX.2019 Mercedes-Benz E-Class E 300 4MATIC® SPORT PACKAGE and 18" 5-Spoke Wheels! What more could you ask for in this luxury sedan? 2019 Mercedes-Benz E-Class E 300 4MATIC® SPORT PACKAGE and 18" 5-Spoke Wheels! Only 6,067 miles on this beautifully designed 2019 sedan! 21/29 City/Highway MPG CARFAX One-Owner. Clean CARFAX.2019 Mercedes-Benz E-Class E 300 4MATIC® SPORT PACKAGE and 18" 5-Spoke Wheels! Only 6,067 miles on this beautifully designed 2019 sedan! 2019 Mercedes-Benz GLE 400 4MATIC® Only 4,571 miles! Jam packed with features such as Roof Rack Rails, Spoiler, and sporty 19" 5-Spoke Wheels! CARFAX One-Owner. Clean CARFAX.2019 Mercedes-Benz GLE 400 4MATIC® Only 4,571 miles! Jam packed with features such as Roof Rack Rails, Spoiler, and sporty 19" 5-Spoke Wheels! 2019 Mercedes-Benz GLS 450 4MATIC® Ultra Low Mileage! Equipped with 8" Color Display Upgrade, Roof Rack Rails, Spoiler, and more! CARFAX One-Owner. Clean CARFAX.2019 Mercedes-Benz GLS 450 4MATIC® Ultra Low Mileage! Equipped with 8" Color Display Upgrade, Roof Rack Rails, Spoiler, and more! 2019 Mercedes-Benz GLS 450 4MATIC® Only 5,046 miles! Third row seats, 8" Color Display Upgrade, and 19" 5-Spoke Wheels give this SUV the perfect balance of luxury, comfort, and performance! CARFAX One-Owner. Clean CARFAX.2019 Mercedes-Benz GLS 450 4MATIC® Only 5,046 miles! Third row seats, 8" Color Display Upgrade, and 19" 5-Spoke Wheels give this SUV the perfect balance of luxury, comfort, and performance! 2019 Mercedes-Benz S-Class S 450 4MATIC® Luxury and performance in one! This S 450 has it all! Equipped with smartphone integration, remote keyless entry, and more! 18/28 City/Highway MPG CARFAX One-Owner. Clean CARFAX.2019 Mercedes-Benz S-Class S 450 4MATIC® Luxury and performance in one! This S 450 has it all! Equipped with smartphone integration, remote keyless entry, and more!